​2017 brings the tenth anniversary of the publication of Cunningham's Lost Son. To mark the occasion, Cunningham has returned to his files to share pictures from his travels and research for the book. 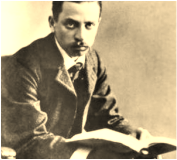 Read the resulting post, "Rilke & Me: From Prague to Muzot," HERE. [You] feel gradually, in joy and astonishment, the magic of Rilke reach out from every page. 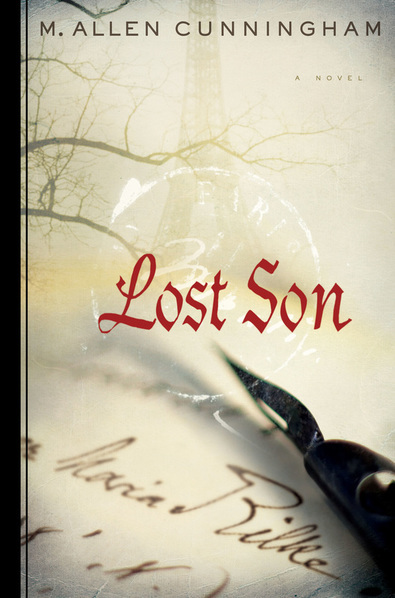 Lost Son is at once a subtle and signal imaginative achievement. Gripping and beautifully written...incredibly ambitious. ​Read Cunningham's "Ghost Coda: A Rilke Pilgrimage,"
Lost Son is the haunting story of poet Rainer Maria Rilke, one of the most unique artists of the modern age. From Rilke’s troubled beginnings — reared as a girl until age six, then sent to military school for five miserable years — through his later experiences in the midst of World War I, Lost Son dramatizes the troubles and triumphs this immensely vulnerable personality encountered as he made his way in the modern world. Lost Son brings Rilke’s significant relationships powerfully alive, including his close friendships with the sculptor Rodin and the German expressionist painter Paula Modersohn-Becker. At the heart of the novel is Rilke’s legendary attachment to his one-time lover and lifelong muse, the incomparable Lou Andreas-Salomé—confidante of Nietzsche, and later, Freud. More than a fictionalized biography, Lost Son is framed by a bewitched young figure traveling in Rilke’s footsteps generations after the poet’s death. The result is a dark and intimate fantasia on Rilke’s art, an exploration of the forever imperfect loyalties one faces in life, and a lyrical meditation upon the distances that can separate life and art. An interview with M. Allen Cunningham about Lost Son and Cunningham's approach to biographical fiction is featured in Truthful Fictions: Conversations with American Biographical Novelists, edited by Michael Lackey, released February 2014 by Bloomsbury. Have a look at the interview HERE. "Lost Son is . . . awe-inspiring in the depth of research Cunningham has done to produce the book and in the depth of understanding the novel reveals regarding Rilke’s life, his struggles, his loves, and his literary work.
" Rainer Maria Rilke, I hope that your spirit is hovering somewhere close to earth so that you've been able to absorb this meticulous, respectful and gentle book on your life and poetry."